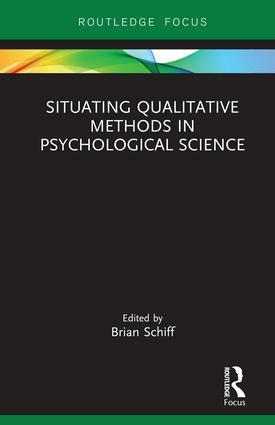 "There is an extended literature on qualitative methods, with much attention given to details and technicalities. But why is there a need for such approaches at all, whether they are called non-reductionist, holistic, or meaning-centered? Why do we need methods that are radically different from those used in traditional psychology? This book offers some fundamental answers to these questions. It takes a look at psychology as a whole: as the project of a comprehensive exploration of the human being in the world. And it reminds us of its still unfulfilled promises." "This compendium of work by distinguished scholars updates our view of psychological science to include the growing recognition of qualitative inquiry. These writers tackle the hard methodological questions and argue wisely for pluralism and integration as the future of psychology. It’s a must-read for researchers." The founders of psychology — thinkers such as Wundt, Freud, and Spencer — recognized the importance of psychologists formulating for themselves the conceptual foundations of the discipline. These parents of psychology not only did their own theorizing, in cooperation with many others; they realized the significance of constantly re-examining these theories and philosophies, including the theories and philosophies of psychology’s methods. The Advances in Theoretical and Philosophical Psychology series is dedicated to this examining and re-examining. It identifies the pivotal and problematic non-empirical issues that face the discipline and addresses these issues in the tradition of the theorists of natural science — uncovering the implicit concepts and hidden assumptions of programs of research and strategies of practice to compare them to concepts and assumptions that might be better. To learn more about the series or to propose a title, please contact Brent Slife (slife@byu.edu) and Christina Chronister (Christina.Chronister@taylorandfrancis.com).